Good morning! 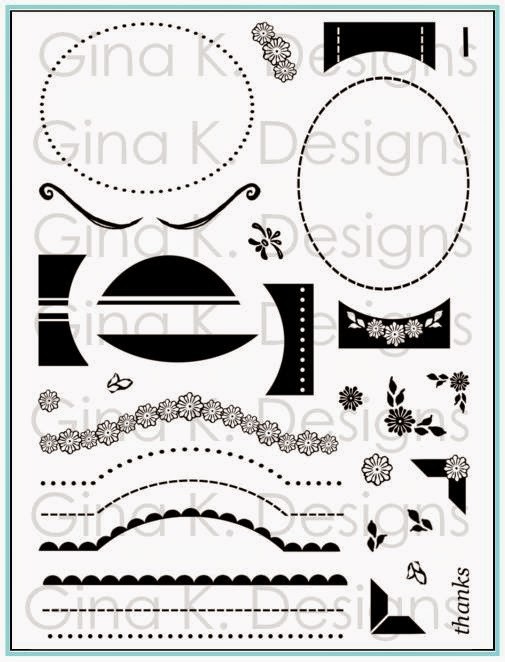 Welcome to our Gina K. Designs illustrator hop today, sharing inspiration for all our new sets releasing tonight and making sure you put tonight's party down on your schedule! As always we'll have contests, chatting, prizes, and full reveals of the new stamps and projects made with them from our fabulous design team! Here is a quick card I made with my new A Year of Flowers 2 set. In this set, you get all the same types of flowers, leaves and stems (plus a few more!) 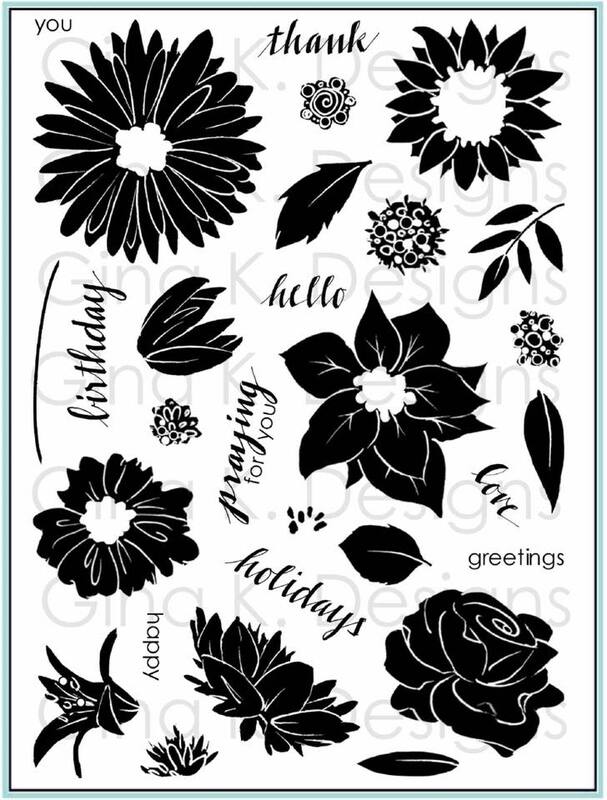 that are so versatile for building designs for all the different holidays and seasons from the first A Year of Flowers set, but this time drawn in a more stylized, sketchy way. I think you will love being able to change up the look this way, or really enjoy it if more whimsical images are your preference (or your recipient's) over realistic ones. They certainly lend themselves to the same techniques as the first set, as well as some others! 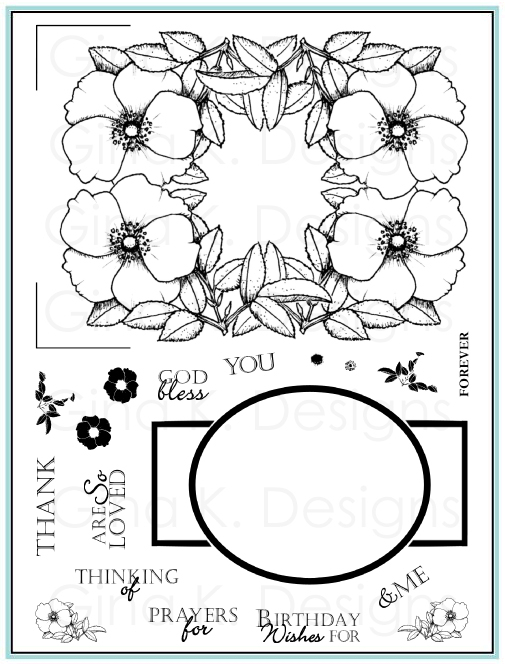 Also, if you are a fan of my previously released Pressed Flowers bold set, you'll be happy to know how well those images work two step stamping style paired with these new line art ones. A sketched image layered over a more realistic solid image is such an easy way to add color to your projects as well as being a fun, trendy look! 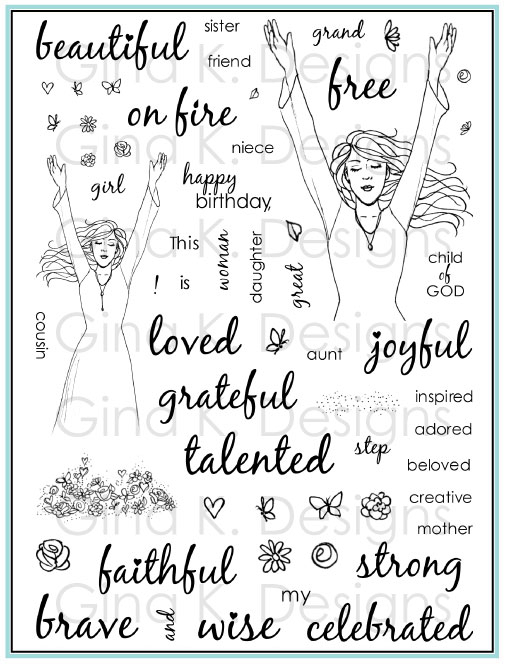 The sentiment here is from Tami's new All Occasion Tags 2, and with the script font and year round sentiments, it is just a perfect match for this year round floral set! This card uses just two markers, one pad and 2 colors of cardstock, how's that for economical? After tons of requests from my readers and our StampTV fans of how I do certain techniques since Gina started sharing videos on STV, I finally made a short video for you, of how I colored the card above. Go easy on me, it's my first! A bit of trivia, this video is just over 5 minutes long but I had to check watching it: the flowers took me only 1 minute and 20 seconds to color! And that's with talking and pausing! Soooo fast and easy! Love it! Let me warn you, I didn't notice until afterwards that I called my Copics "Memento markers" (ack, so different!! but at least I listed the colors correctly), presumably since I'd just mentioned my Memento pad*, trying to be all like Gina, ya know, listing "all the products and tools needed to complete the project", hee! So *please* don't email me that those are Copics in the video. Yes, I know, lol! Hopefully you saw my notation at that point. My next video will be better! Supplies used: Gina K Designs Pure Luxury Black Onyx and Sandy Beach cardstock, A Year of Flowers 2 and All Occasion Tags 2, Memento Tuxedo Black ink pad, Copics R05 and G99. Now be sure to check out samples from our other illustrators today who are reviewing their new sets! 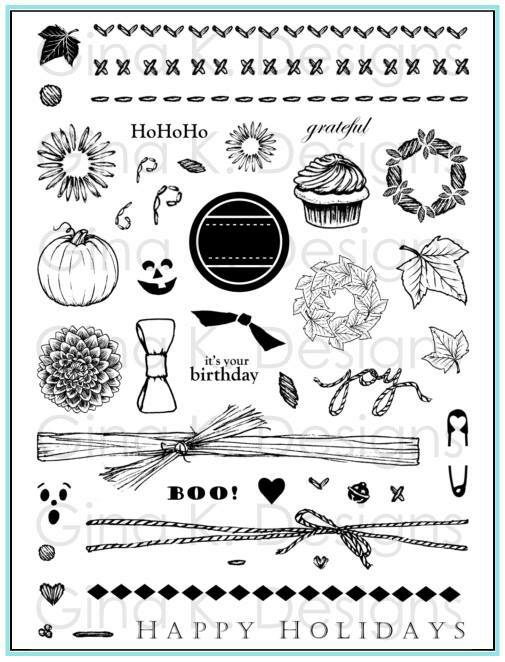 Be sure to leave a comment on each blog for more chances to win a fun prize pack from Gina K: a package of Birthday Hoot patterned paper (to match the free owl image with any purchase this month!) and coordinating cardstock pack! Melanie Muenchinger- you are here! *Although I didn't even call it a Memento pad, the name from the lid just burned itself into my brain! Blog Candy Winner, and some news! Good morning! Time to announce of winner of the My Favorite Products giveaway! Ocean Mist is my top pick, and Dark Chocolate is my choice for a new Color Companion selection. Congrats, Denise! Please email me your snail mail info within 48 hours and I will send it to customer service to get your prize pack of color companion goodies and stamps in the mail to you! NOW! I'm very excited to report: I've started making videos for the blog! Yep, I'm super excited, and think you are really going to like seeing techniques or coloring certain images in action. First one is TOMORROW. With my new set. And more to come! what would you like to see me demonstrate for future videos? (or just want to see variations of), certain color palettes you want to see for certain images, a particular card you can't figure out from the photos I've shown etc. or any day going forward that you think of something you'd like to see. 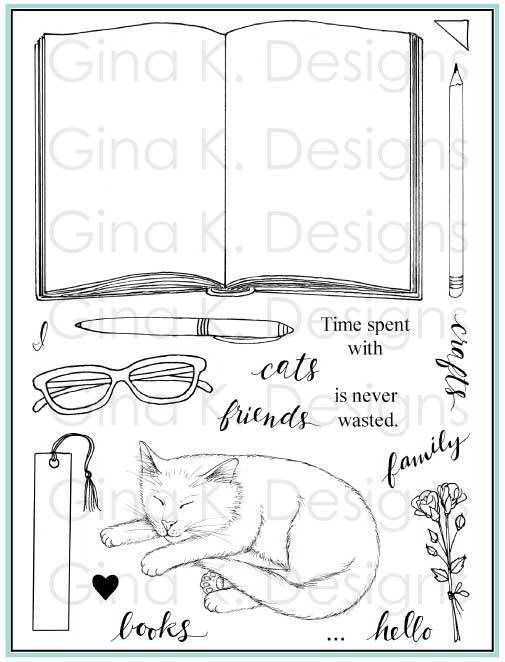 I have a post up on the Cardmaker Blog today telling you a little about my favorite products: stamps, ink and paper from Gina K. Designs. 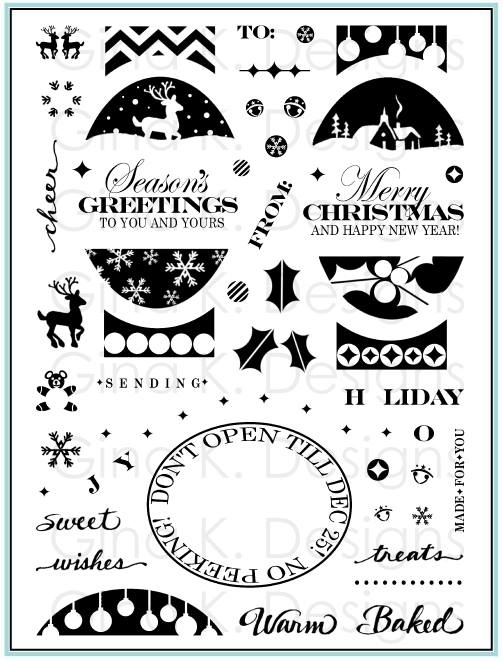 and get a sneak peek of some of our new sets releasing Thursday night on card I made using them! So how you would like to try some of these products yourself? 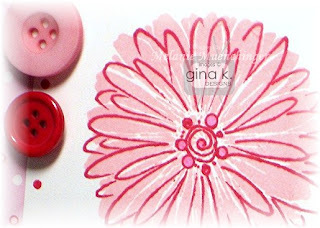 Today Gina is sponsoring a wonderful giveaway: my new stamp set releasing this coming Thursday, Feb 28th, AND one Color Companion Red Hot ink pad, matching pack of cardstock, stitched ribbon, and Mixed Berries button collection! With more than 36 beautiful cardstock colors to choose from (and more being added all the time, not all colors shown here) Gina will soon be releasing 8 more of our most popular colors! I will post a winner on Wednesday. Thank you Gina for offering so many quality products and for donating this generous prize! from Gina K. Designs . Good morning! 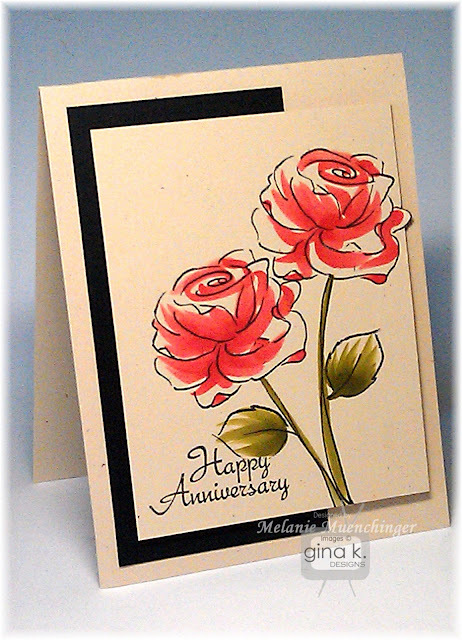 I have a post up on the Cardmaker Blog today. 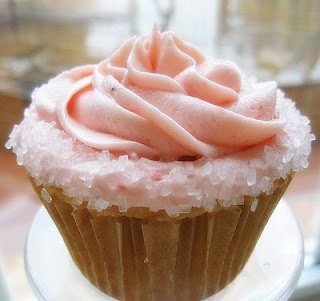 Check it out to see what this photo below inspired me to create today! You can find the post HERE! 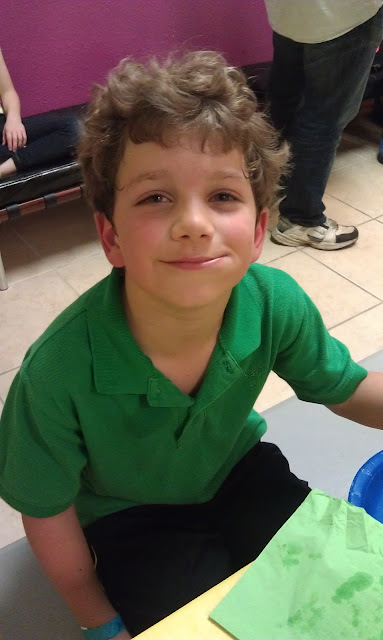 Here William is enjoying a very large bite of cake at his party over the weekend. Very special surprise, our rabbits had more bunnies last night, on his birthday! (This means they'll be weaned around Easter.) We brought the nest box in this morning before school to meet them and count. Seven kits again, just like last time! All healthy, will post pics in a bit. Pretty hairless still, so it will be super fun to see what colors we get this time! Hope you had a terrific weekend and your week is off to a great start! 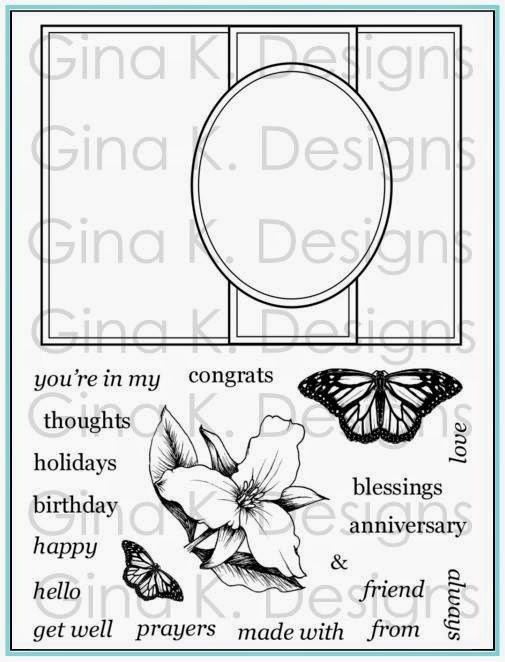 Thank you all for helping the Gina K. Designs team make Gina's birthday such a memorable one! :) I know she was so appreciative of all the love she was feeling from each of you! One of the things I love about Gina K is how she does her videos. She explains everything so easily and simply, she could make a rubberstamper out of anyone. Hope you have a happy one Gina K. Love your card and all the colors! Congrats!! Please email me ASAP with your snail address so I can put your signed stamp set in the mail! 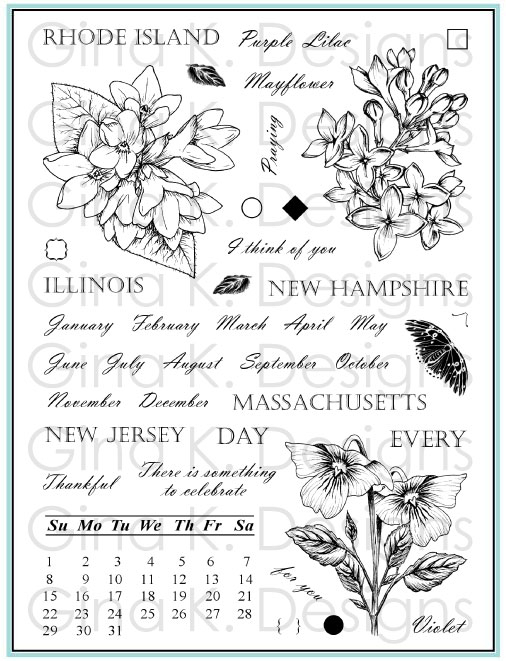 And speaking of Stately Flowers 6, thanks to all the Stately fans for buying every last set, it sold out yesterday!! :) Not to worry, though, they are already on order, so if you didn't get yours yet, they will be back in stock very soon! Love that you are lovin' it as much as I am! Hope you having a fabulous weekend! Perfect Companions: Happy Birthday, Gina! This blog candy is closed. Thanks to all who participated. You can see who the winner is in this post. Good morning! Today the Gina K. Designs team is having a surprise hop for Gina in honor of her birthday! 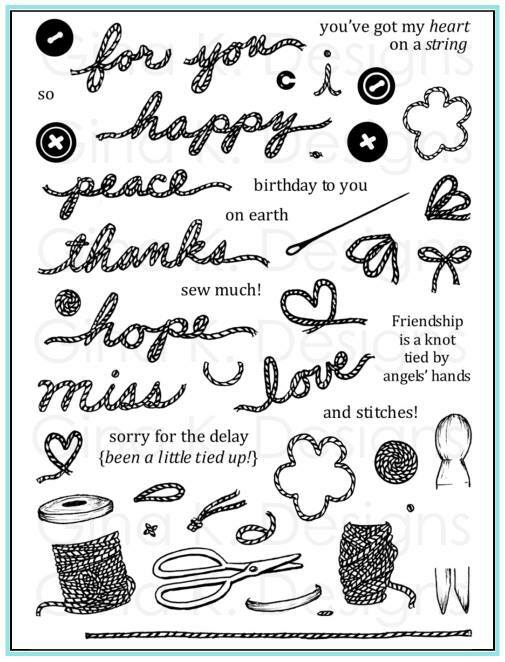 Here is a the card I made for her a couple weeks ago, but hadn't blogged yet! Just had to commemorate her rolling out these new ink pads for 2013! Can you tell which bird is Gina?! She such an outstanding boss and friend, every day I am so thankful to have her in my life! Starting with 8 of our most popular colors, you will love the gorgeous coordination and complimentary tones these crafting products offer and the beautiful, professional touch they will add to your projects! 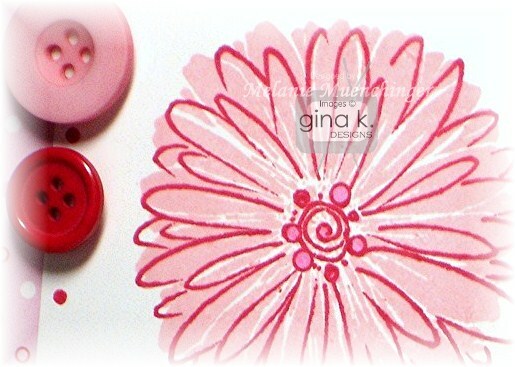 You will love the crisp, saturated color of each pad, perfect for your clear and red rubber stamps! In order, the bird from Theresa's Birds and Blossoms is stamped with Cherry Red, Red Hot (to match the cardstock panel behind), Honey Mustard, Fresh Asparagus, Dark Sage (looks darker and browner in this pic), Ocean Mist (to match the Pure Luxury card base), and Powder Blue. I'm thrilled Gina chose these colors to start with, a wonderful spectrum, and can't wait for her to release more! Some red bakers twine for them to perch on is the perfect way to finish the card! Isn't this cheery row of birds, each one unique, just right for "Happy YOU day!" ? Skipping stamping or embossing the Red Hot panel echoes that smooth solid shade of each of the bold birds, this card is all about "color"!! How about some candy?! Leave a comment below wishing Gina a happy birthday and your favorite thing about her. Get a second chance if you leave her a happy birthday wish on her Facebook page! One person will win a signed copy of my Stately Flowers 6 set (or another set I have on hand if you already have it!) I'll announce a winner tomorrow! Melanie - you are here! 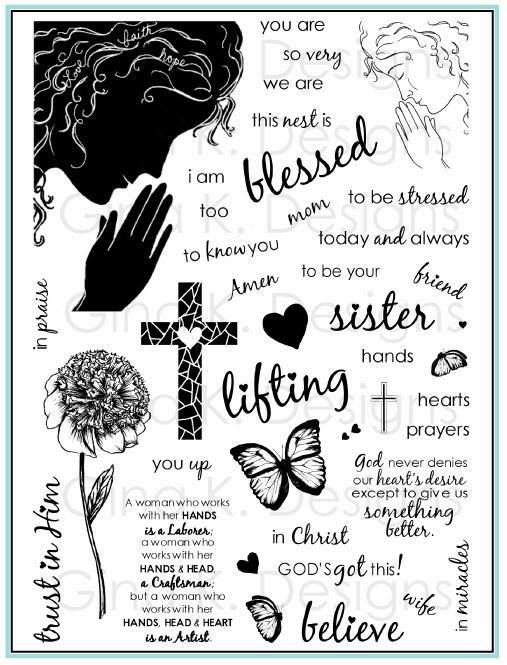 CardMaker Basic Grey Blog Hop! Good morning and thank you for hopping today with my CardMaker blog team ladies and our fabulous sponsor, BasicGrey! BasicGrey will be giving away a True Love 6x6 Paper Pad along with winner’s choice of three embellishments. They sent so much inspiring stuff, I had to make two projects today! Look, Ma, no stamps (or ink)! This card was created with a sheet of ivory cardstock and bakers twine, and nothing else but the True Love papers and embellishments! The flair stickers are die cut decorated chipboard that hasve removable backing to stick right on, no need for adhesive. I cropped a strip of printed paper to put over the red and added some of the buttons and these fancy little bottle caps. I loved this 6x6" sheet with the pretty border all the way around, which I thought would be perfect as a game board, and backed it with a 6 1/2" square of cardstock. After cutting my heart and scalloped mat with Nestabilities from more patterned paper in the pack, I punched a hole with my Big Bite Crop-a-dile through the Flair sticker arrow and papers and put the coordinating pink brad through to make spinner. Then I had fun adding all the True Love stickers to the sides for fun options for my game, all good, of course, no whammies! I punched a little hole through the kiss sticker tag at top, so I can hang it up on a hook, perhaps outside my stamp room, my family has to spin and bring kisses or candy to enter! Gimme chocolate every time! Come on, TRUFFLE! Supplies used: Basic Grey True Love collection: 6 x6 designer paper pad, Stickers, Buttons, Brads and Flair Stickers; Cherry Red and White Pure Luxury cardstock and red bakers twine from Gina K. Designs,Big Bite Crop-a-dile by We R Memory Keepers, Spellbinders Nestabilities Classic Hearts S4-136 and Classic Scalloped Hearts Dies S4-137, and foam dots and EZ Runner permanent adhesive from Scrapbook Adhesives by 3L. Thanks to Basic Grey for sending such fun goodies! 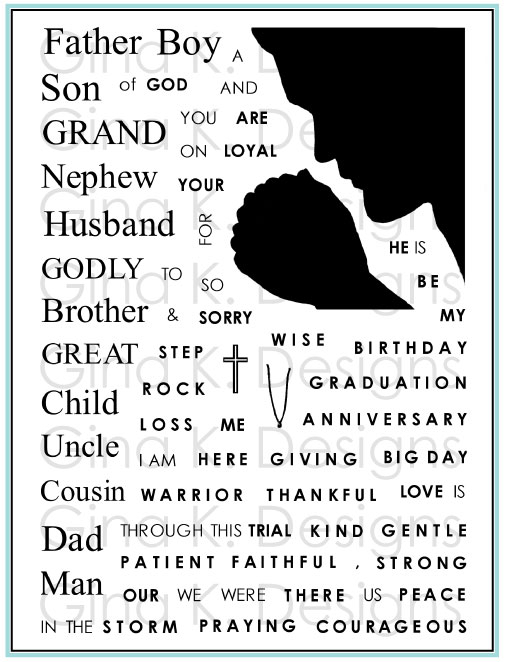 I truly love the True Love line of papers, stickers and more! Please enjoy the rest of our hop!